A post brexit deal could see independent Britain Surrender it's waters. 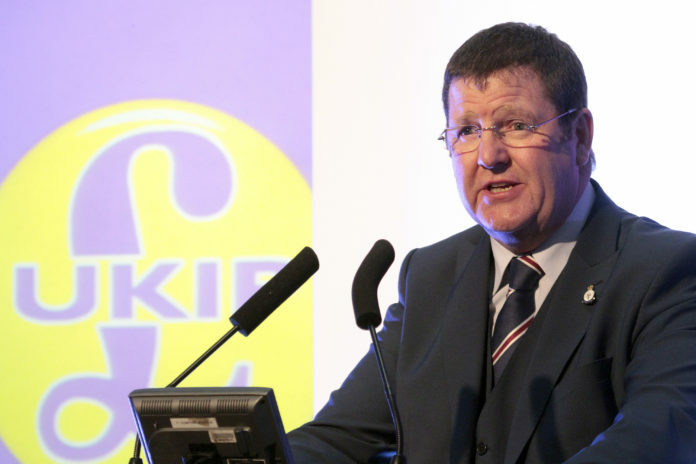 Mike Hookem MEP has blasted the European Council after it demanded “reciprocal access to fishing waters and resources” in return for granting a post-Brexit, zero-tariff trade deal. The latest European Council demands came in response to Theresa May’s Mansion House speech last week, in which the Prime Minister signalled she was ready to capitulate to EU demands to keep British waters open to EU fishing vessels following the UK’s EU exit. A fuming Mr Hookem – who is campaigning for Britain to claim it’s 200-nautical-mile exclusive economic zone (EEZ) and to end the hated Common Fisheries Policy (CFP) – raged; “this is nothing more than the EU bullyboys showing their true colours and trying to strip the UK of one of its richest natural resources. Mr Hookem – a member of the powerful PECH (Fisheries) committee in the European Parliament has been saying for many months that EU institutions would make continued access to British waters and fishing resources a bargaining chip in Brexit negotiations, yet, all warnings have been ignored by ministers. “All my warnings have fallen on deaf ears, while the Government has time and again refused to give any details on their promise to leave the hated CFP. “How will leaving the CFP make any positive difference for the British fishing industry if all the rules are still set by Brussels, along with the UK’s share of what can be caught in our own waters. “It’s a disgraceful situation and nothing more than a grab to secure EU dominance of UK fishing for many years to come. “The European Council’s latest demand acts as confirmation that unless Theresa ‘the Appeaser’ can show some steel, and stand up to the EU bullyboys, then we don’t have any hope of reclaiming our seas and keeping what remains of our ravaged fishing industry. “However, I’m in no doubt that Mrs May will roll-over and allow the EU to continue its dominance of the UK’s fishing industry even after we leave the bloc. “Given these ridiculous demands, my message to Theresa May is to show some British spirit and tell the EU where to go. “It is about time the Prime Minister realised that the proud British people are sick and tired of being pushed around by the ‘cultured thugs’ of the EU and reclaiming our fishing industry would be a bloody good place to start the fightback!